Step 1 Stir together whole-wheat and unbleached flours, brown sugar, salt, cinnamon, baking soda, baking powder and caraway seeds. Make well in center and stir in egg and butter. Stir in beer. Stir by hand to make soft batter. Stir in raisins. Spoon into greased 9-inch round cake pan. Sprinkle with bran or oatmeal. Step 2 Bake at 375 degrees until top is dry to touch, 40 to 45 minutes. Top will be slightly cracked. Remove from oven and cool before serving. In Recipes-list.com we have selected the most viewed recipes from category - Breads . Enjoy the best recipes specially selected for you! 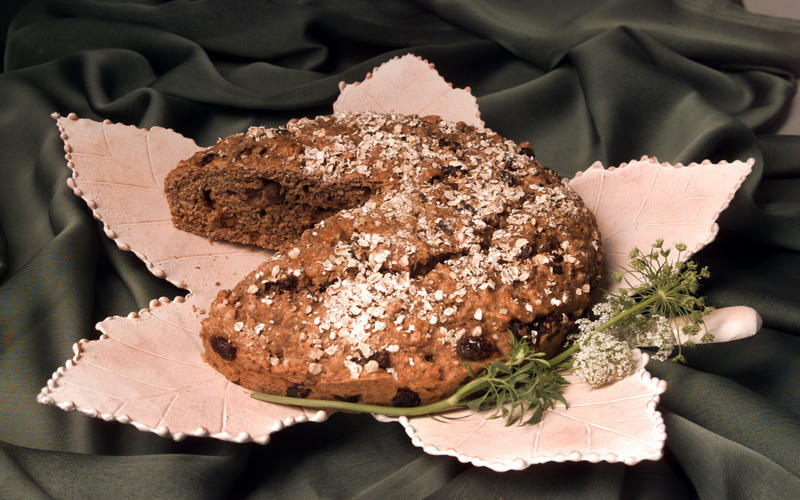 Beer soda bread is the right choice that will satisfy all your claims.